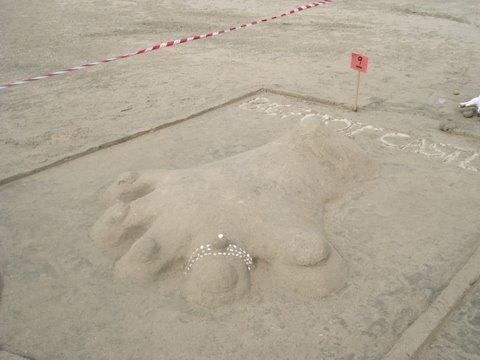 Last Saturday, i have joined in sandcastle competition that organized by 'my ex-company'. Muazzam did not want to join because he has something to do at home (Z z z z z z z z z z z.....good sleep for world cup). I was frustrated with one of my favourite team - Argentina did not make it mannn.... rasa macam nak terajang je tv semalam!! (feel like want to kick the tv!!). Muazzam also frustrated. We both 'dislike' Germany!!! "pukul 7 pagi aku ambik kau, jangan off kan handphone kau pulak, susah aku nanti!" I have reached at Pantai Sepat near 8 o'clock. SPL was there busy with the registration. SPL is a secretary for the company recreation club. 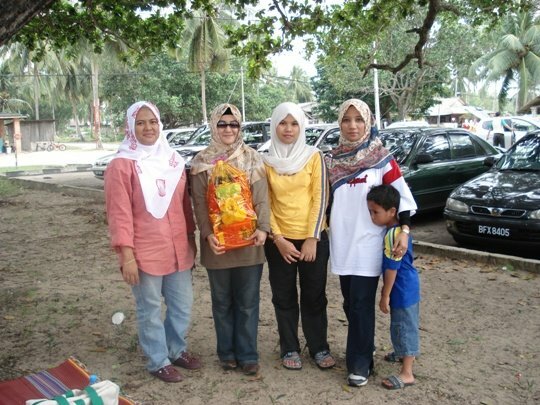 ooops i meant prize le..